Home » » GDS JCA Letter reg-Minutes of the meeting held on 31.07.2018 at 11:30 A.M. at Dak Bhawan. 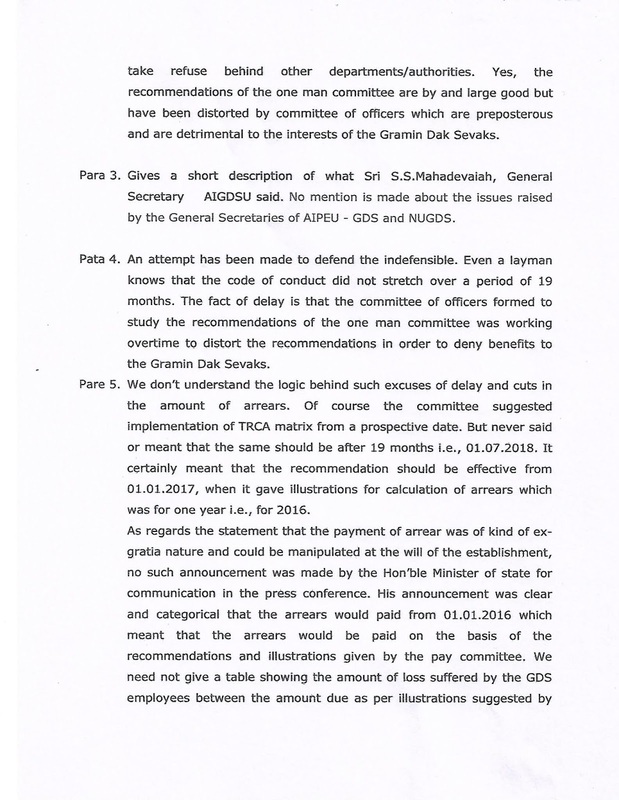 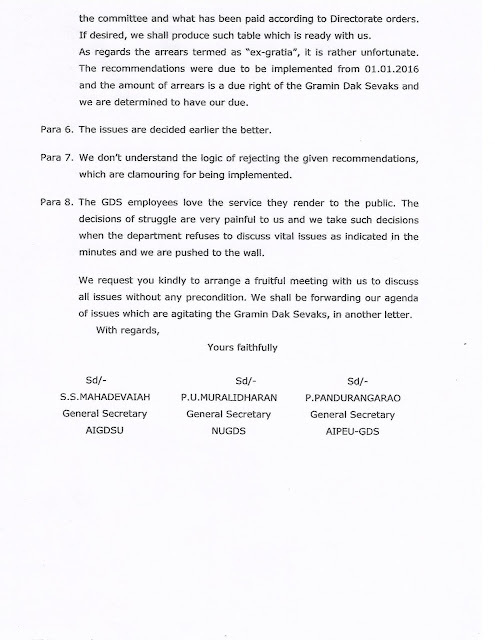 GDS JCA Letter reg-Minutes of the meeting held on 31.07.2018 at 11:30 A.M. at Dak Bhawan. 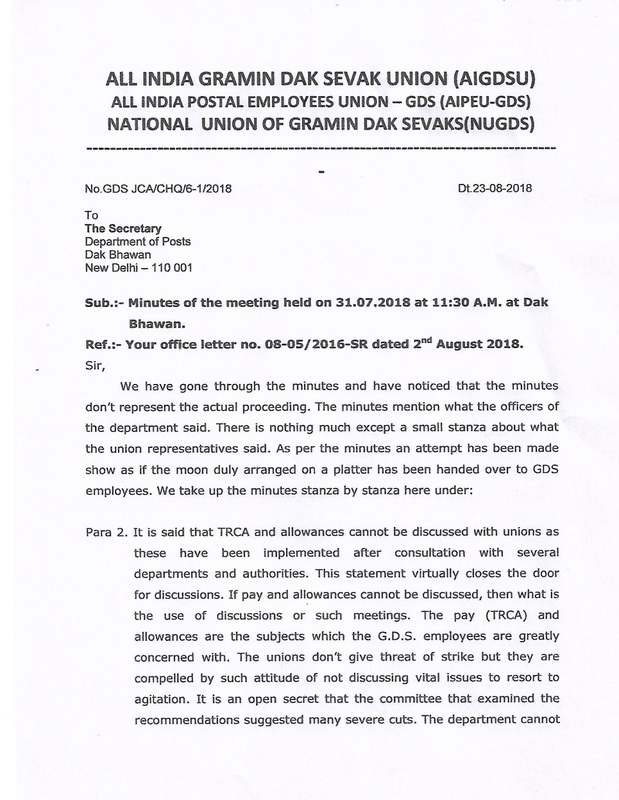 Sub:- Minutes of the meeting held on 31.07.2018 at 11:30 A.M. at Dak Bhawan.